KVUE — The owner of Austin-based company My Fit Foods was arrested Monday night at the W hotel for public intoxication and cocaine possession, according to a Travis County arrest affidavit. According to the Austin Police Department, a call was placed around 2:30 am about a disturbance between a man and a woman at the W hotel in downtown Austin. When police arrived at the scene, they found a security guard pinning My Fit Foods owner Mario Mendias, 39, to the ground by his wrists. The woman was already gone by the time officers arrived, according to the affidavit. Mendias was upset and called the security guard a name, according to the affidavit. The security guard told officers Mendias struck him three times on the face with an open palm. Officers determined Mendias would continue to create disturbances and placed him under arrest for public intoxication, according to the affidavit. A bag of cocaine was found on Mendias. He also told officers that he was the owner of My Fit Foods. 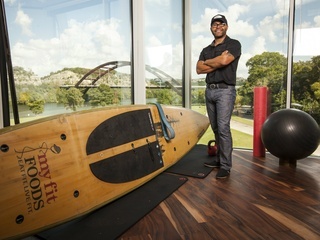 A representative of My Fit Foods has issued the following statement in regards to the incident: "Mr. Mendias maintains only a small minority interest in My Fit Foods and has not been involved in the company's day-to-day operations for more than a year ... As this is an ongoing investigation, we are unable to comment any further at this time."